Alexandra Locksmiths were called by a previous customer who had just moved into a new property in Fortis Green, Muswell Hill, London N10.Our customer had Banham locks on their last door and wanted to have them fitted to their new home as they knew they were a good high security lock and also wanted some window locks fitted.On the front door we fitted a Banham L2000 rim lock and Banham M2003 deadlock. Our customer also wanted some window locks fitted as they have young children and were very concerned that they could potentially climb out of the first floor windows if they were open. We fitted four window restrictors to the first floor windows and also fitted sash stops to the sash windows on the ground floor. 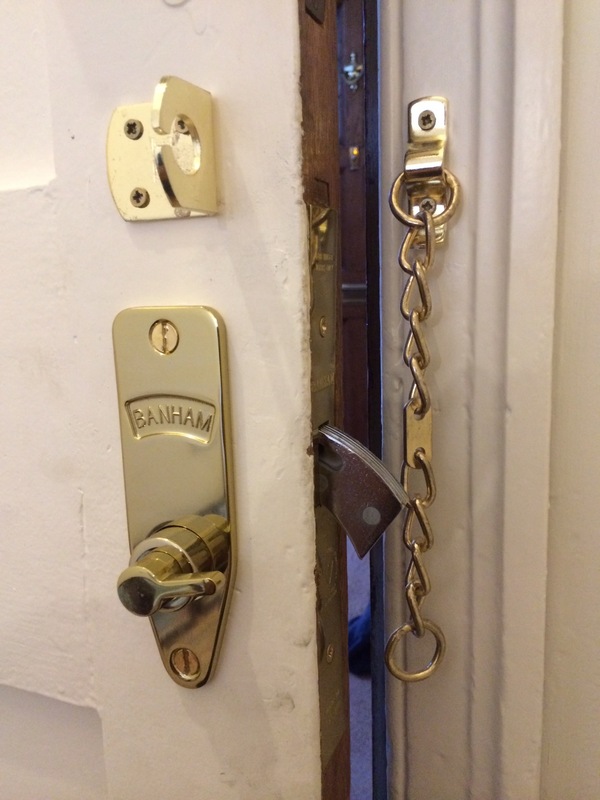 We cover London and the surrounding areas for Locksmith work, security gates and grilles, intercom systems, access control and safes. For our office in Muswell Hill call 020 8883 1555.